Experience the sporty sophistication of our One Owner, Accident Free 2015 Kia Optima LX Sedan in beautiful Smokey Blue. Powered by an efficient 2.4 Liter 4 Cylinder that offers 192hp while paired with a responsive 6 Speed Sportmatic Automatic transmission. Our Front Wheel Drive provides a smooth ride with great handling that will have you looking for the long way home plus offers near 34mpg on the open road! Turn heads in our LX with a sleek exterior accented by 16-inch alloy wheels, projection headlights, front fog lamps and dual exhaust with chrome tips. Our Optima LX is a European-inspired cabin that is both well-built and packed with amenities galore. Bluetooth wireless technology, a great sound system with available SiriusXM radio, power windows and door locks, a cooling glove box, and steering wheel mounted controls make every ride feel first class! You'll be confident as you embark on your next adventure in your Kia since it is a Top Safety Pick thanks to features such as smart airbags, electronic stability control, and rear crumple zones. 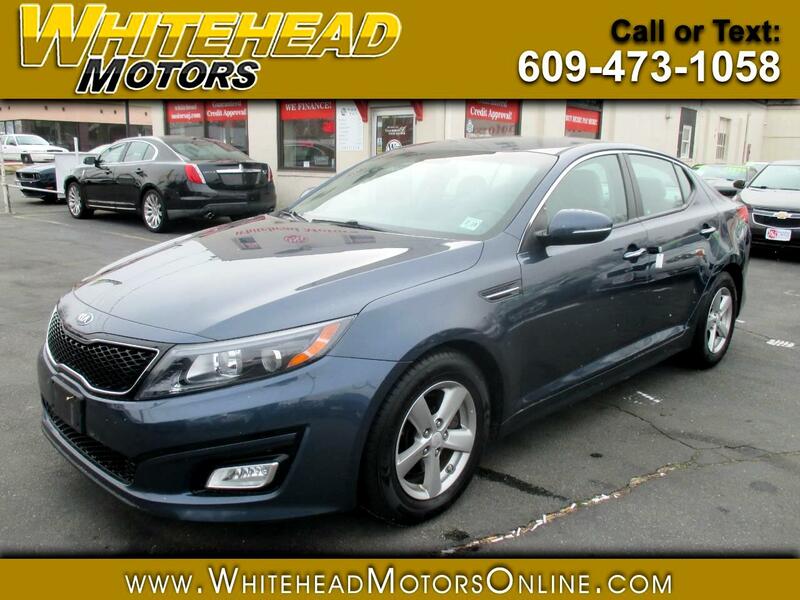 Reward yourself with the beauty and performance that our Kia Optima offers. Print this page and call us Now... We Know You Will Enjoy Your Test Drive Towards Ownership! Get Approved In Minutes at Whitehead Motors. We Make Car Buying Easy.